• Get the Card that rewards you for being you. • Earn 5x the points on eligible eats & drinks, including groceries, restaurants and food delivery. • Earn 2x the points on eligible travel and transit, including cabs, hotels, flights and more. • Earn 1x the points on everything else. · 15,000 Bonus Aventura Points with your first purchase and another 5,000 points when you spend $1,000 on the card within the 4 first statements. 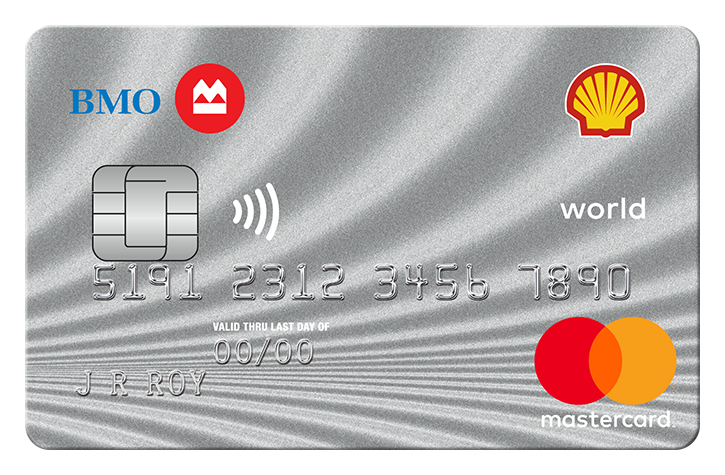 MBNA Rewards Platinum Plus® Mastercard® Accelerate rewards points on common purchases! • A suite of comprehensive insurance** Take advantage of an everyday rewards card with no annual fee. 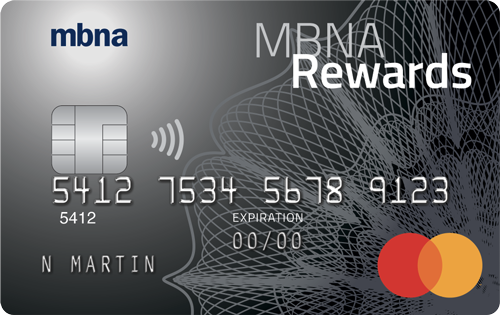 Apply now for the MBNA Rewards® credit card. ‡ These are highlights of the credit card rewards program (the "Program") associated with this credit card account. Points will be awarded on eligible transactions charged to your account as set out in the Program terms and conditions. You will earn two (2) points per dollar spent on eligible gas, grocery and restaurant purchases to a maximum annual amount of $5,000 in each category. Eligible purchases that are not eligible gas, grocery and restaurant purchases will earn a Base Earn Rate of one (1) point per dollar. The redemption rate for Points earned may differ depending on the redemption option chosen. Complete terms and conditions describing Program eligibility, accrual, earn limits, and redemption of Points, and other important conditions will be sent after your account is opened. Please read the terms and conditions carefully upon receipt. 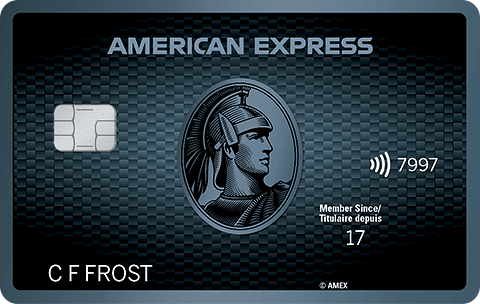 †† To qualify for this offer, an applicant must be approved for the specific credit card account described in the offer and: (a) in order to obtain a "First Eligible Transaction Bonus" of 2,500 bonus points, the account must be used for at least one eligible transaction within the first 90 days of account opening that is not subsequently rescinded, the subject of a charge back request or otherwise disputed, and (b) in order to obtain a "Paperless Bonus" of 2,500 bonus points, you must enroll in online banking at www.mbna.ca, and consent to Paperless Statements for the account within the first 90 days of account opening, and not subsequently rescind such enrollment throughout this period. Please allow 8–10 weeks from the transaction date and the Paperless Statement enrollment for the applicable bonus points to be posted to your points account. Limit one-time bonus point offer (no cash value) per new account for each of the First Eligible Transaction Bonus and the Paperless Bonus). This promotion is offered by MBNA and may be amended or cancelled at any time without notice. **Coverage is underwritten by Allianz Global Risks US Insurance Company (Canadian Branch) and/or American Bankers Insurance Company of Florida. Certain limitations and exclusions may apply to this benefit and others described in the certificate of insurance sent soon after your Account is opened. ✪ Balance transfers will be fulfilled in the order listed and are treated as balance transfers in accordance with your Account Agreement. The total value of balance transfers cannot exceed your authorized credit limit. If the value is greater, MBNA may send a partial payment to the named creditor/designated account. THERE WILL BE A TRANSACTION FEE EQUAL TO 1.00% OF THE DOLLAR AMOUNT OF EACH BALANCE TRANSFER INITIATED WITH THIS APPLICATION. A MINIMUM FEE OF $7.50 WILL APPLY TO EACH BALANCE TRANSFER TRANSACTION. A balance transfer may not be used to pay off or down your account balance or any other balances with us (including our affiliates, which would include any member of the TD Bank Group). 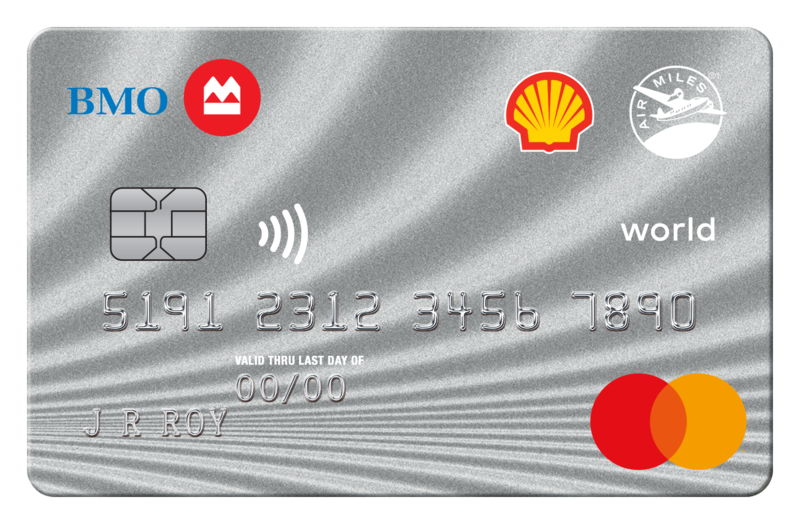 - Instantly save 3₵ per litre on fuel▲ & earn 20% more Petro-Points§ and RBC Rewards points** when you link your Petro-Points card to any RBC Card online. 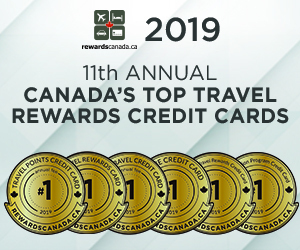 • Earn 6 More Rewards points for every $1 spent on purchases at participating More Rewards locations including Save-On-foods, PriceSmart Foods, Overwaitea Foods, Cooper’s Foods and Urban Fare stores and participating More Rewards partners such as Petro Canada and Panago. • No annual fee and no earning or redemption caps. • Rates, fees and other information are effective as of March 1, 2018. Subject to change. 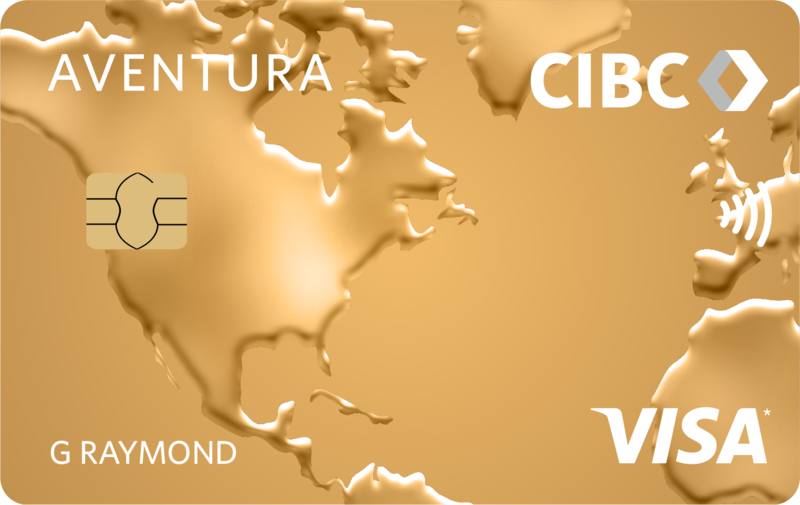 Option to transfer RBC Rewards Points to WestJet Rewards, British Airways Executive Club, American AAdvantage, Cathay Pacific Asia Miles. Look for the transfer bonus to BA several times per year! 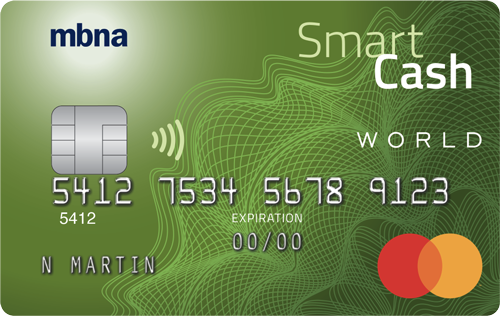 MBNA Smart Cash® World Mastercard® Accelerate cash back on common purchases! ‡ These are highlights of the credit card rewards program (the "Program") associated with this credit card account. MBNA Dollars will be awarded on eligible transactions charged to your account. There is a monthly spend cap of $500 on the earn rate for eligible gas and grocery purchases. Once the monthly spend cap has been reached, eligible gas and groceries purchases will only earn the Base Earn Rate. Complete terms and conditions describing Program eligibility, accrual, earn limits, and redemption of MBNA Dollars, and other important conditions, limitations and restrictions will be sent after your account is opened. Please read the terms and conditions carefully upon receipt. †† To qualify for this offer, an applicant must be approved for the specific credit card account described in the offer. For the first six (6) months after the account is opened (the “Bonus Period“), eligible gas and grocery purchases will earn 5% in MBNA Dollars until the total gas and grocery purchases in the applicable month reaches $500 (the "Gas and Groceries Monthly Spend Cap"). Once the Gas and Groceries Monthly Spend Cap has been reached, eligible gas and groceries purchases will only earn the Base Earn Rate. Please allow 8–10 weeks from the transaction date for bonus MBNA Dollars to be posted to your MBNA Dollars account. Limit one-time bonus MBNA Dollars offer per new account. This promotion is offered by MBNA and may be amended or cancelled at any time without notice. †††† To be eligible for a World Account, your personal annual income must be greater than $60,000, or your household annual income must be $100,000 or greater. Additional account qualification criteria apply as set out in this application. **Coverage is underwritten by Allianz Global Risks US Insurance Company (Canadian Branch) and/or American Bankers Insurance Company of Florida. Certain limitations and exclusions may apply to this benefit and others described in the certificate of insurance sent soon after your Account is opened. 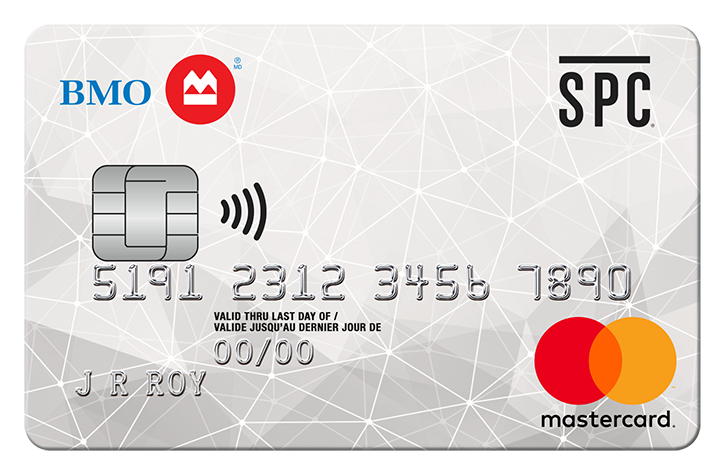 MBNA Smart Cash Platinum Plus® Mastercard® Accelerate cash back on common purchases! ‡ These are highlights of the credit card rewards program (the "Program") associated with this credit card account. MBNA Dollars will be awarded on eligible transactions charged to your account. There is a monthly spend cap of $500 on the earn rate for eligible gas and grocery purchases. Once the monthly spend cap has been reached, eligible gas and groceries purchases will only earn the Base Earn Rate. Complete terms and conditions describing Program eligibility, accrual, earn limits, and redemption of MBNA Dollars, and other important conditions, limitations and restrictions will be sent after your account is opened. Please read the terms and conditions carefully upon receipt. †† To qualify for this offer, an applicant must be approved for the specific credit card account described in the offer. For the first six (6) months after the account is opened (the “Bonus Period“), eligible gas and grocery purchases will earn 5% in MBNA Dollars until the total gas and grocery purchases in the applicable month reaches $500 (the "Gas and Groceries Monthly Spend Cap"). Once the Gas and Groceries Monthly Spend Cap has been reached, eligible gas and groceries purchases will only earn the Base Earn Rate. Please allow 8–10 weeks from the transaction date for bonus MBNA Dollars to be posted to your MBNA Dollars account. Limit one-time bonus MBNA Dollars offer per new account. This promotion is offered by MBNA and may be amended or cancelled at any time without notice. **Coverage is underwritten by Allianz Global Risks US Insurance Company (Canadian Branch) and/or American Bankers Insurance Company of Florida. Certain limitations and exclusions may apply to this benefit and others described in the certificate of insurance sent soon after your Account is opened. • Get an introductory 3.99% on Balance transfers for the first six months. Plus, $39 first year annual fee waiver.